Okay, you may be thinking, why in the world is she telling us how to make a baked potato? They are easy. Well, the art of making potatoes seem to be lost. The microwave about ruined people and made them forget how much better an Oven Baked Potato truly is. 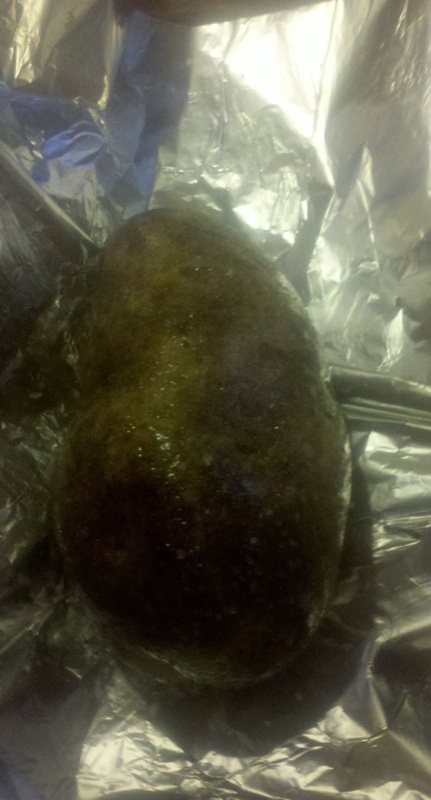 When you bake a potato in the oven properly, it is art. Beautiful, delicious art that will make your mouth water. Sea Salt...makes food taste better! First scrub your potatoes to get all the dirt and stuff off of them. 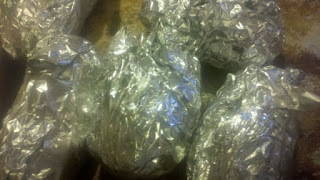 Tear off pieces of foil. 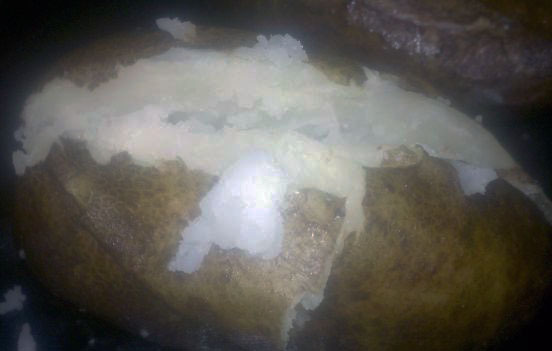 Tear pieces big enough to fully encase each potato. Then pour some oil in your hands and rub it all over each potato to be sure each potato is completely covered. Put each potato on a sheet of foil and generously sprinkle the sea salt over it. Oiled and sprinkled with sea salt. Wrap up securely and bake in a 350 degree oven for 45-60 minutes (depending on the size of your potatoes). I cook about a dozen a week at one time and then just place the ones not eaten in the refrigerator to be warmed up and enjoyed for another meal. They turn out beautifully. Crisp skins and fluffy center. These taste so good they do not even require butter or sour cream. You can eat them plain! They go together nicely with homemade meatloaf! Or just load them up with some delicious No Bean Chili and make it a meal! I love baked potatoes. I have never wrapped mine in foil though...great idea! How do they turn out without the foil? I make mine similar but I poke holes in them, rub on olive oil and roll in kosher salt and bake in a glass dish without the foil. I find the skins are much better without the foil. That sounds good. Thanks for sharing your tip! Guest Post: Are You Programmed to AM or FM?